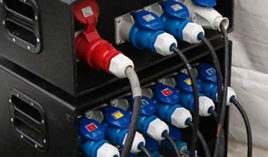 But providing a safe reliable supply requires careful planning from the outset, furthermore one thing that is certain to disrupt or even end your event prematurely is a power supply failure. 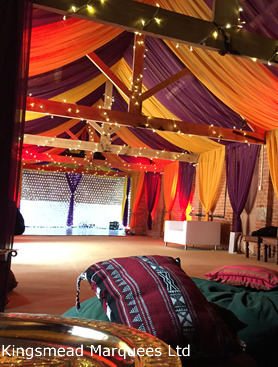 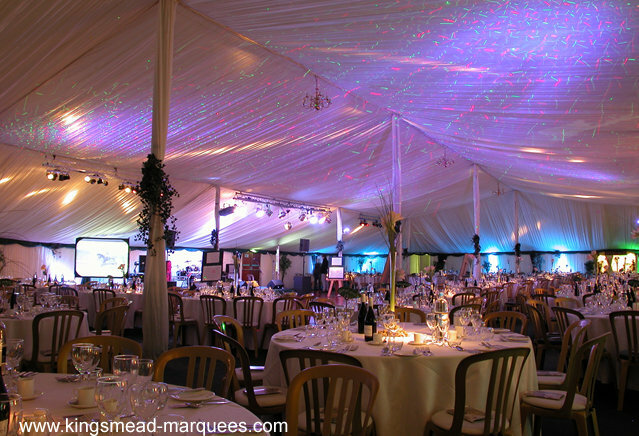 Unlike many marquee hire firms who if they offer this service tend to rely on other contractors or offer nothing more than the most basic lighting. 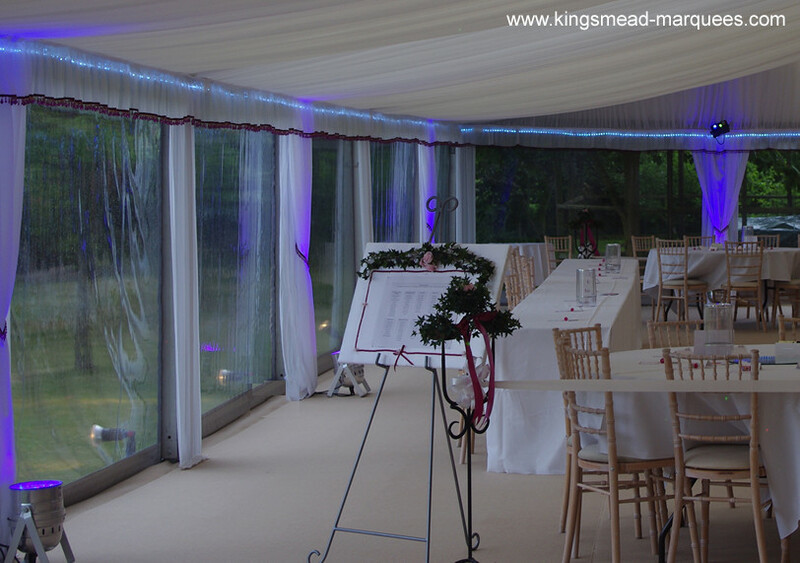 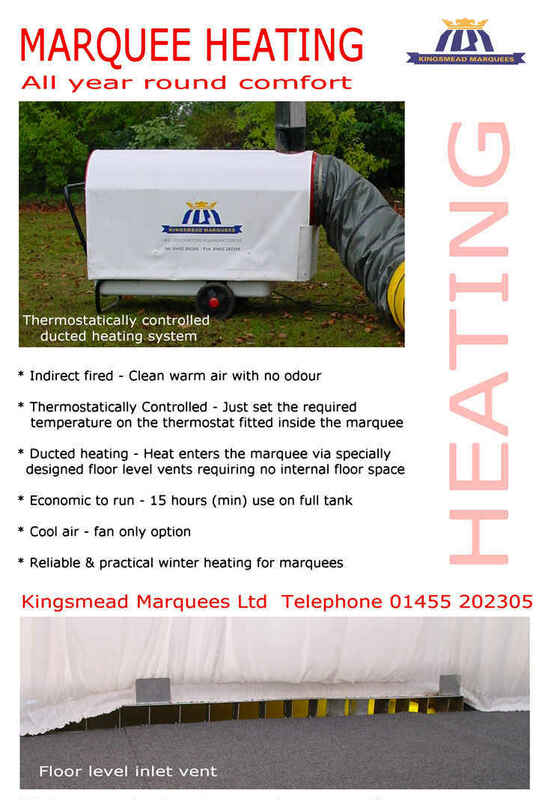 Kingsmead Marquees have for over 30 years operated our own in house electrical hire department stocking a huge range of purpose built equipment all designed with ultra reliability in mind. 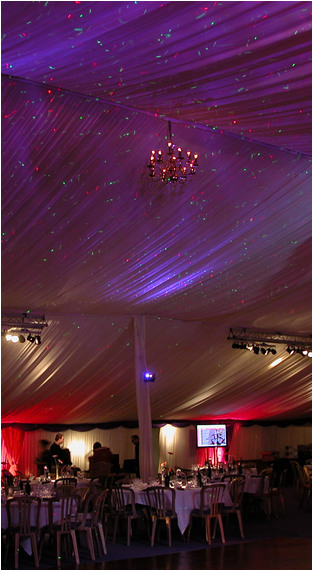 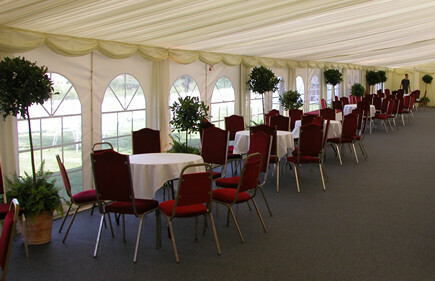 A corporate event requires an area for projection or AV presentations followed by dining or lectures, this would be achieved by using a stoplight outer fabric on the marquee itself, together with a diffused LED lighting system fitted behind a flat inner lining, this would produce a smart discrete lighting effect few permanent conference venues could offer. 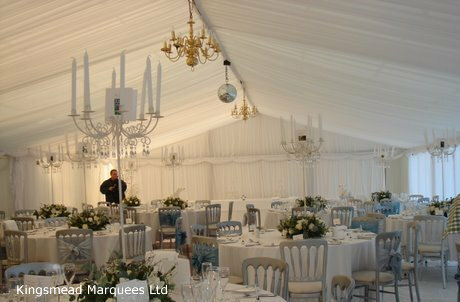 The electrical equipment used in marquees needs to be very durable and maintained to a very high standard, harsh and damp operating environments demand specialist components. 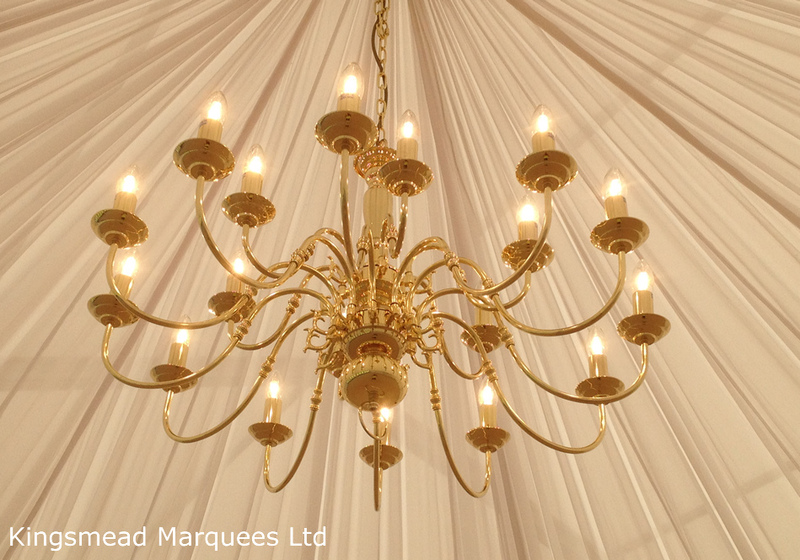 Chandeliers provide an attractive focal point and are available in a polished brass finish. 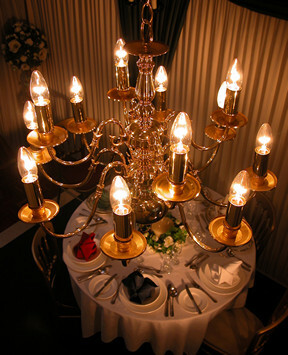 very high quality 12 arm crystal chandeliers. 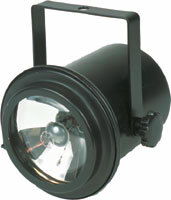 A matching two way wall light is also stocked. 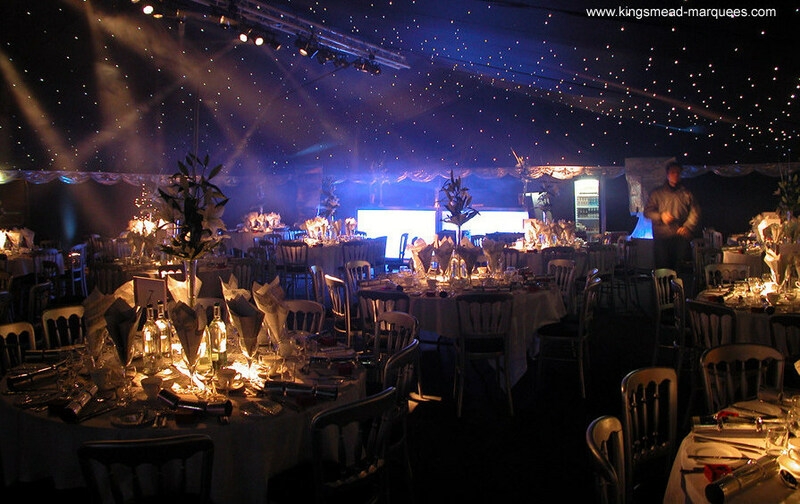 Floorstanding uplighters spaced around the marquee walls will provide a striking column of light from a mostly unseen light source. 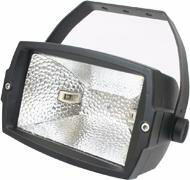 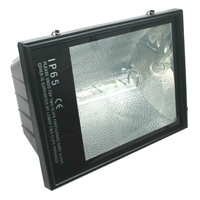 The basic uplighters are available in two versions 120w & 300w both can be supplied with coloured gels. The reflected light from the walls and roof combine to light the space, they can also be used to light feature's within the marquee. 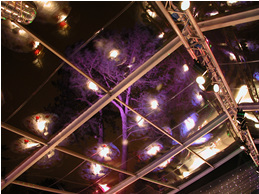 The most versatile uplighting effects can be achieved by the latest LED colour changing systems. 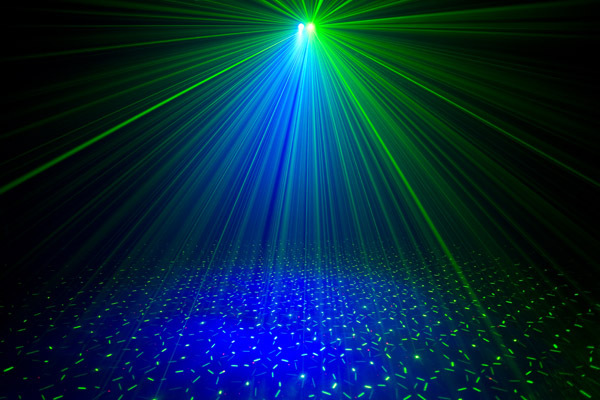 LED's can be completely controlled individually or collectively from a separate DMX control unit, colours can then be set, mixed, faded, chased, flashed, strobe, even linked to a music beat as required. 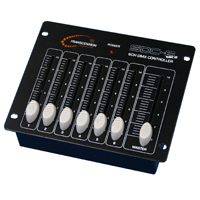 The RGB Par 64 is our basic unit and can provide all the standard colour mixing with DMX control. 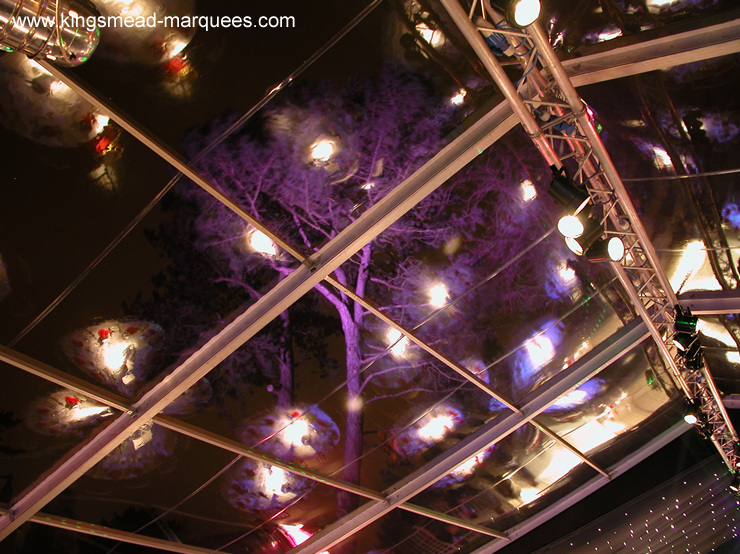 The tightly controlled beam from our roof mounted pinspots are perfect for lighting table centres without dazzling your guests. 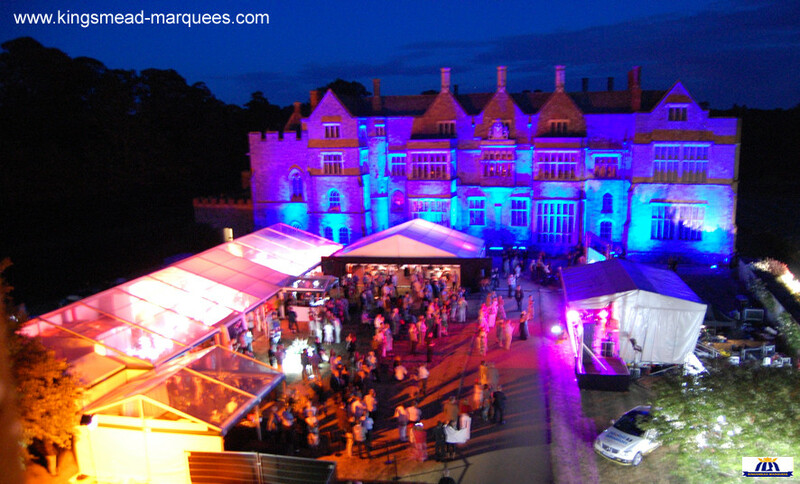 Normally suspended in groups of 4 from a truss at the apex of the marquee they can also be used to highlight features within the marquee or turned onto the roof to create a criss-cross effect. 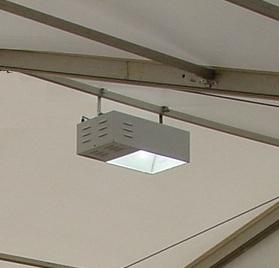 Often deployed over a dance floor, but with multiple units installed, the entire roof can be covered with slow moving points of light. 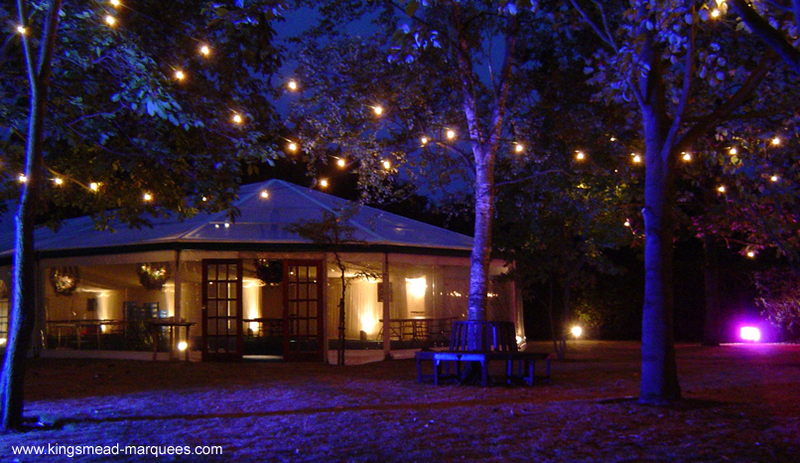 A deep blue rippling aura cloud effect is also a feature. 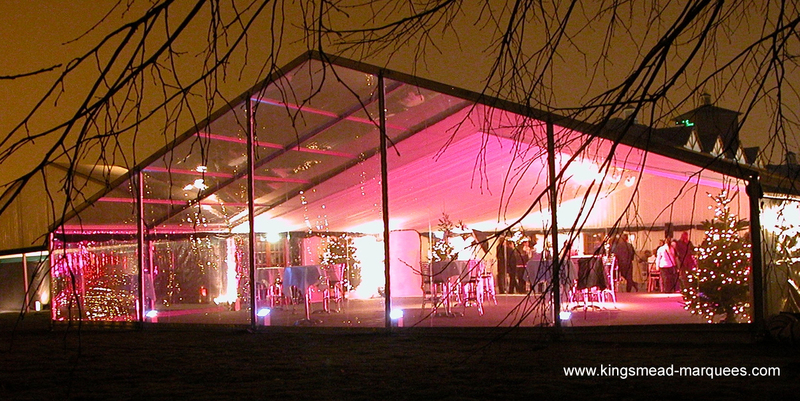 Star effect lasers can transform the look of the marquee roof with or without interior linings. 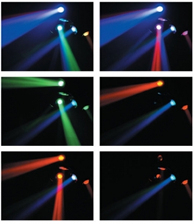 Note: The light from the lasers produce a sharp dot, not a line as shown in these photographs, this is caused by the exposure time when we took the picture! 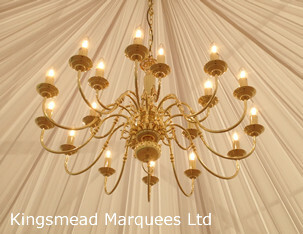 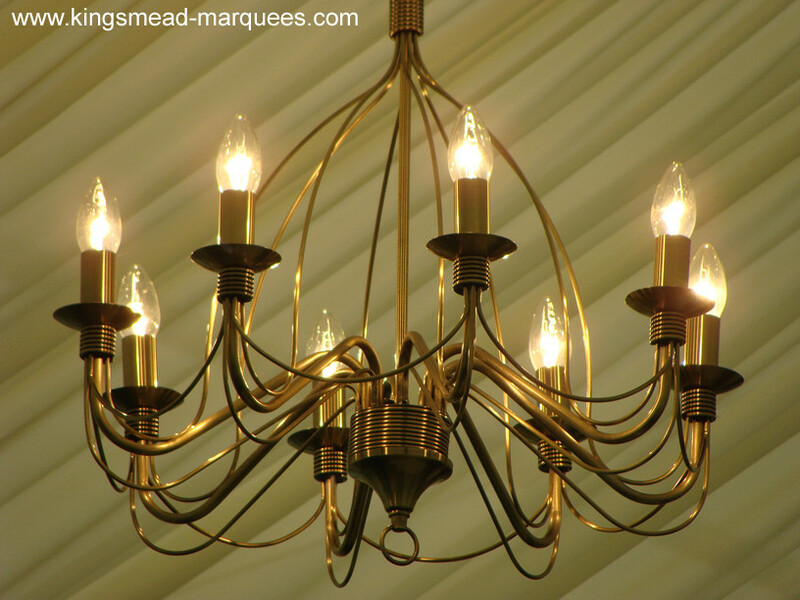 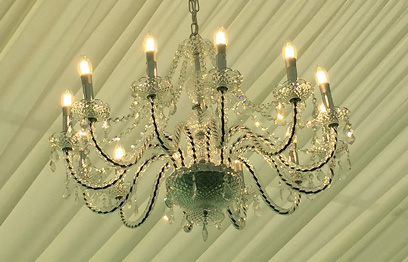 The system we offer is unique to Kingsmead, manufactured in our workshops, the results are far superior to the fairy light sets hung up behind the linings by other contractors. 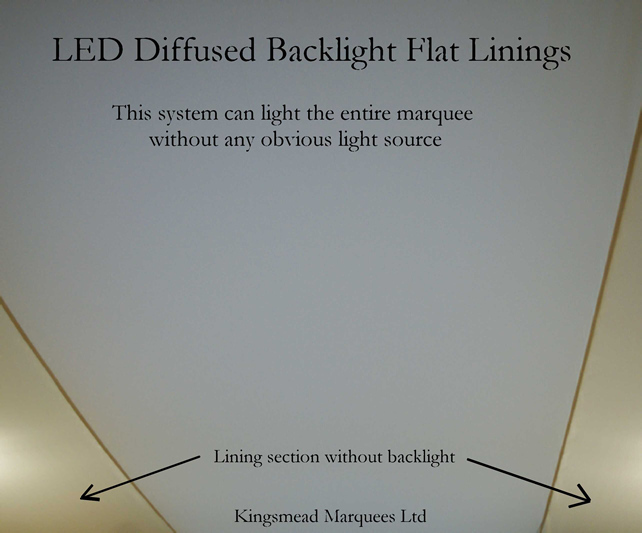 The ultimate in starlight linings, this system sends the light from a projector along fibre optic cables that emit the crisp bright light from the tiny cut ends in the lining. 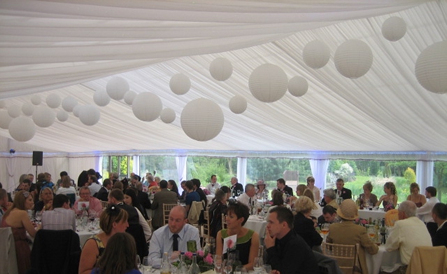 Most effective when set into a black lining as the black fabric makes it difficult to judge the height of the roof, all this adds to the illusion of a star studded night sky. 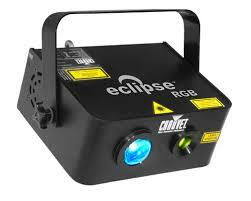 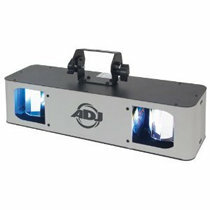 The projectors can produce random changing colours at each light point, purple, white and blue mix is very popular. 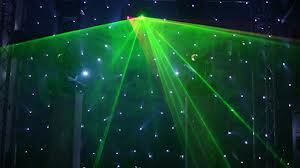 A twinkling effect can also be created. 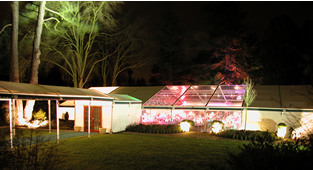 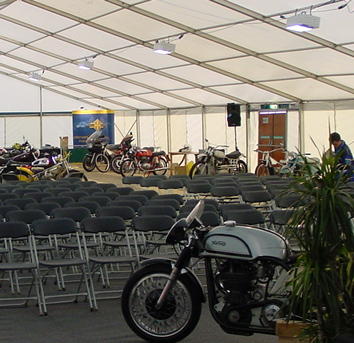 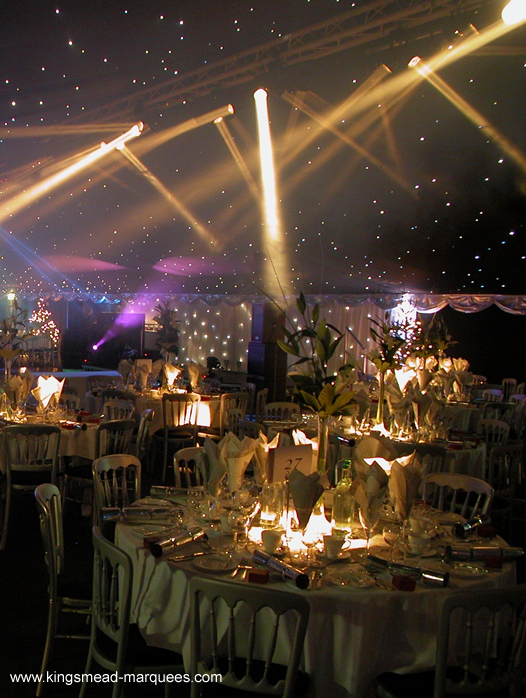 Ideal general lighting for all marquees that need a good level of evenly distributed light. 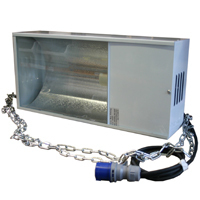 Our high quality waterproof industrial striplights are perfect for the job, they are neatly installed on our power rail system avoiding unsightly cable runs. 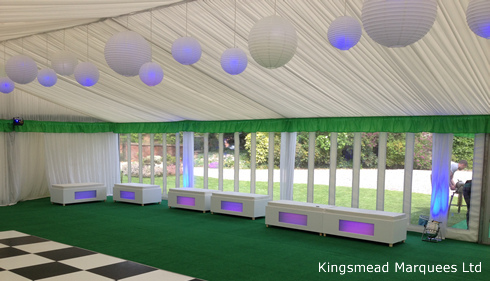 Our unique power rails are part of the marquee construction and allows a very tidy installation free from cable ties and PVC tape! 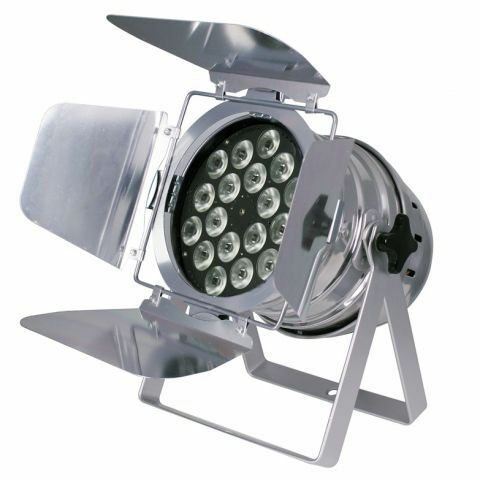 Metal halide low bay lamps can be neatly installed on our power rails and are an economical choice for lighting larger marquees. 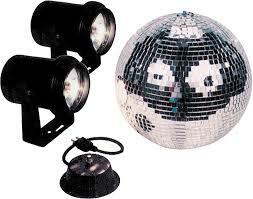 Outdoor lighting can be used in various ways to enhance your venue. 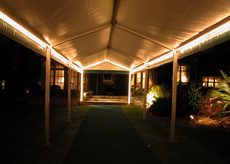 It can be used to simply light the access to marquees, pathways & car parks in a purely functional way. 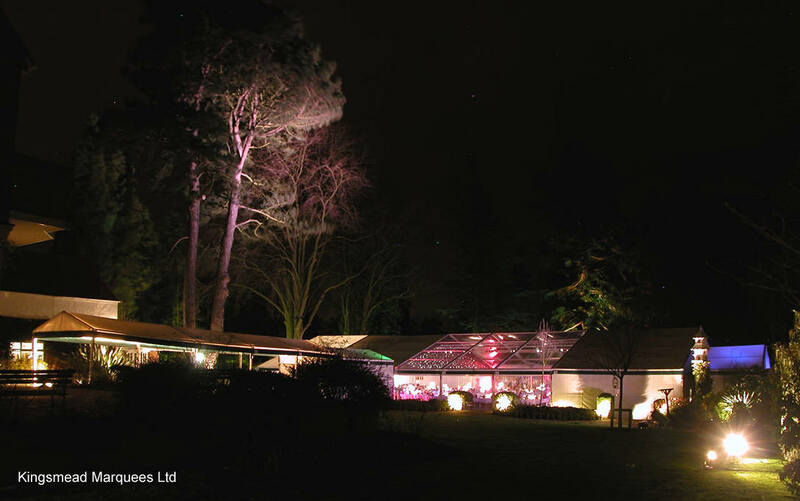 Many events however are able to make the most of the venue after dark, high power floods can wash buildings, trees, or features in white or coloured light, this is especially impressive when viewed through a clear marquee roof, gable or walls. 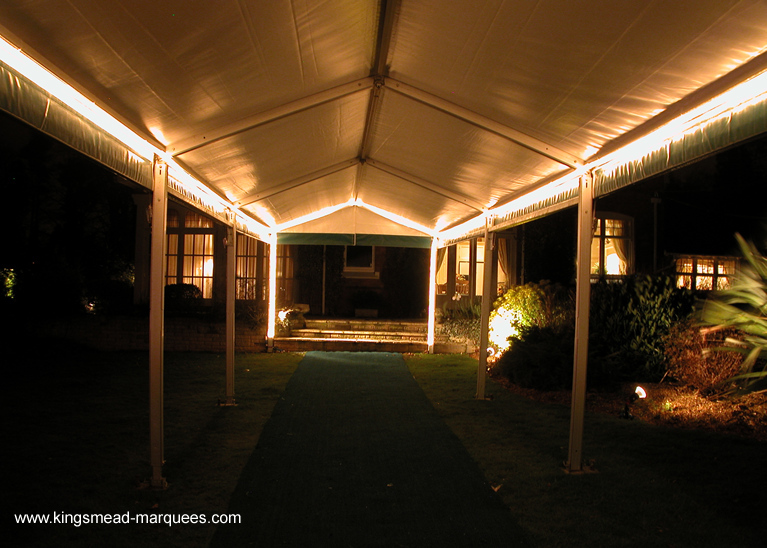 Eurospan Structure with clear roof sails, please click images to view. 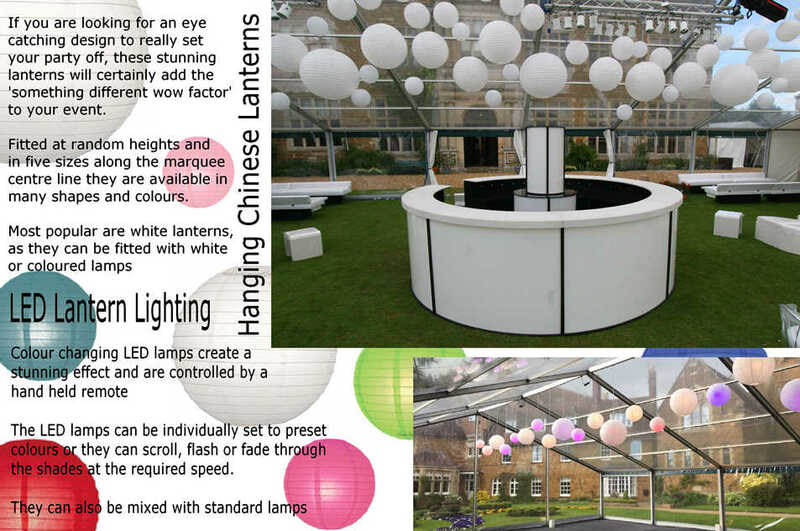 Ever popular rotating mirror balls are ideal for creating a traditional party atmosphere, these glass balls can be used with white or coloured pinspots. 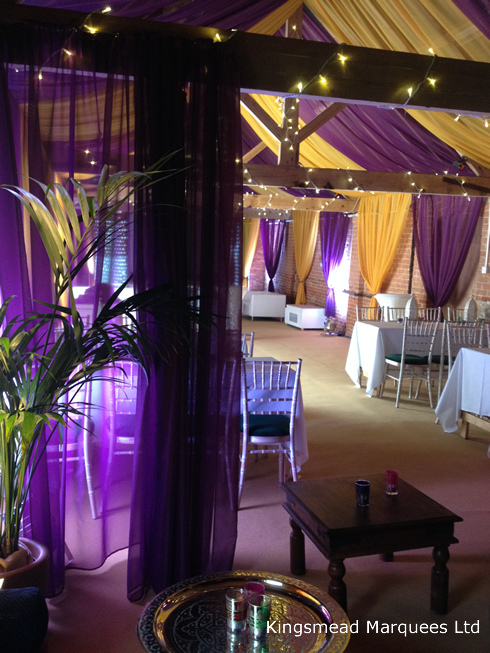 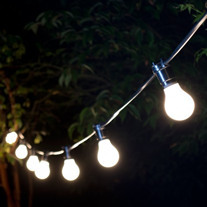 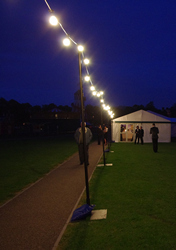 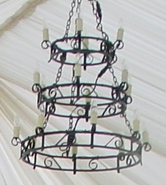 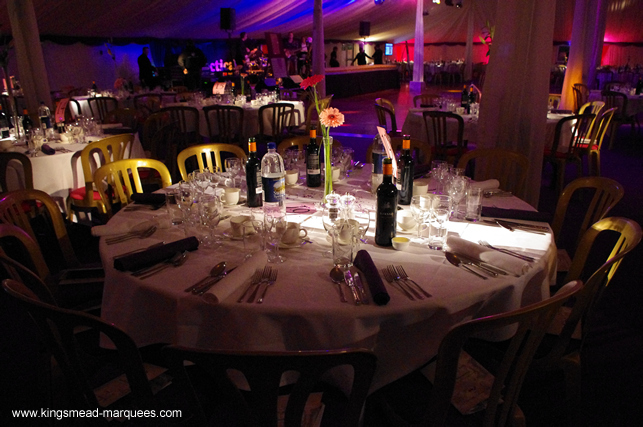 Traditional festoon lighting can be used inside or outside of your marquee. 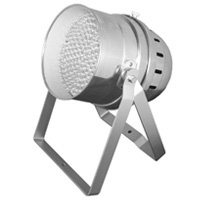 For control over lighting levels, our range of dimmers can be used with many types of lighting. 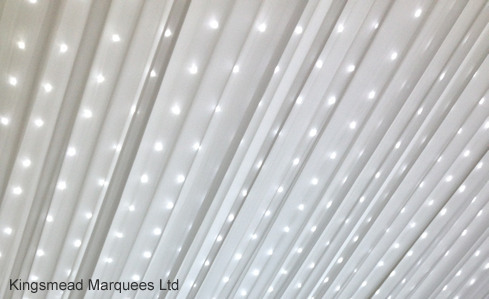 LED rope lighting can be installed behind the lining trim around the whole marquee, it can also be utilised in awnings or as a feature when attached to the roof beams of a unlined marquee. 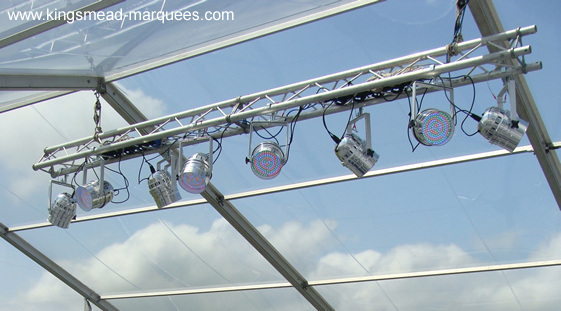 A range of trussing is stocked and this can be suspended from various points within the marquee roof thus enabling, spot lights, gobos, and other fittings to be installed and accurately adjusted. 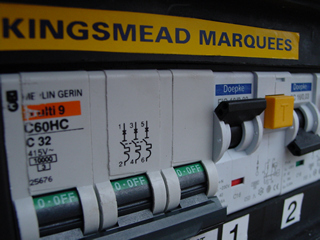 Simple DMX controllers can be setup to provide push button control of lighting 'scenes' for the marquee, these can be pre-set so that the customer can adjust colours, sequences, levels, as required. 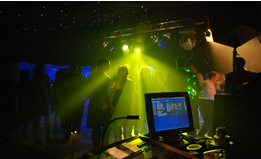 More advanced options are available and these can be adjusted to compliment equipment provided by the band / DJ. 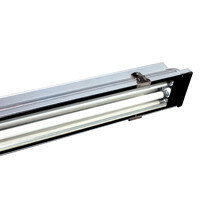 The Double Phase LED is an exciting dual barrel mirrored lighting effect. 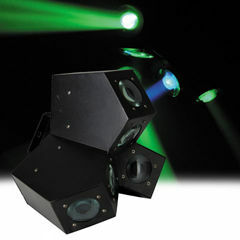 The Lantra Hex Beam is ideal as a dynamic floor filling effects then is an ideal choice. 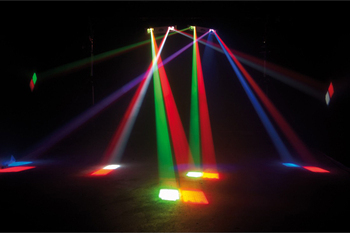 The 18 x 3w LED's produce strong colours and effects and are driven by onboard presets for speed, or by DMX512 signals for finer control. 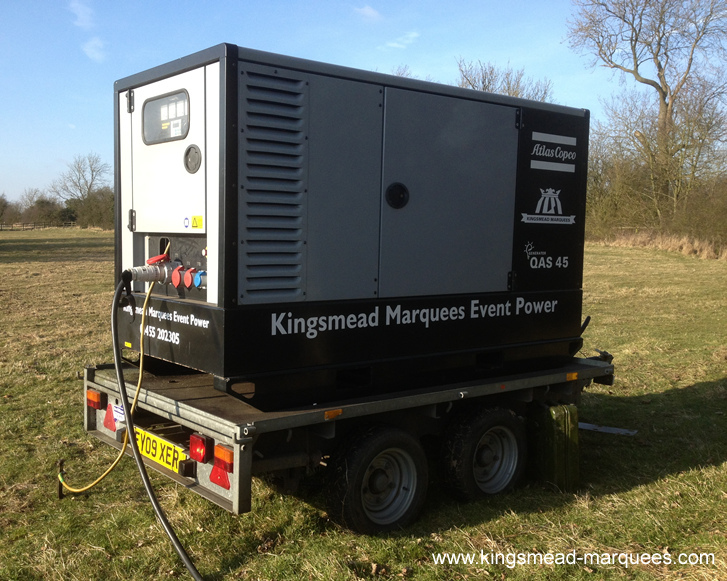 Needless to say if you are planning to use power at your event, a safe and reliable power infrastructure is absolutely vital. 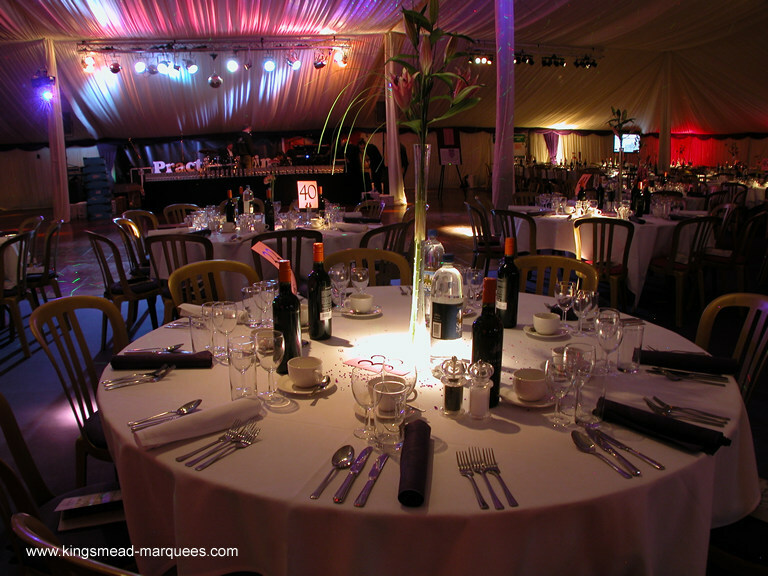 So much can depend on the supply, from heating units, cooking equipment, lighting, entertainment, mobile toilets and so on, the loss of these services has the potential to end your event prematurely. 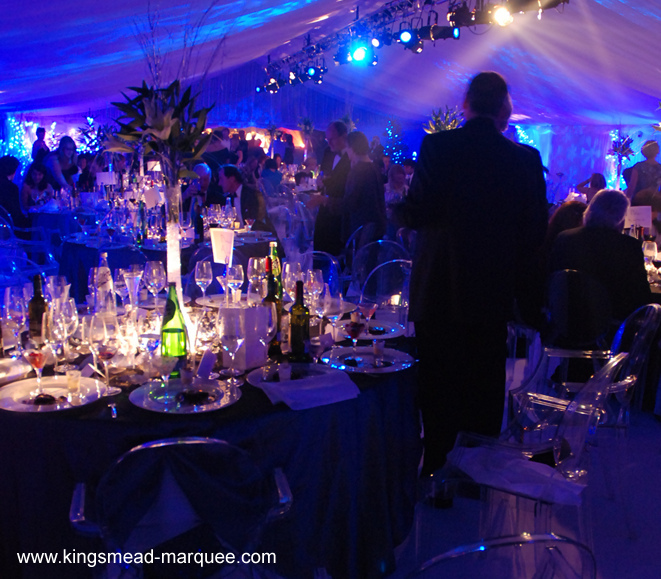 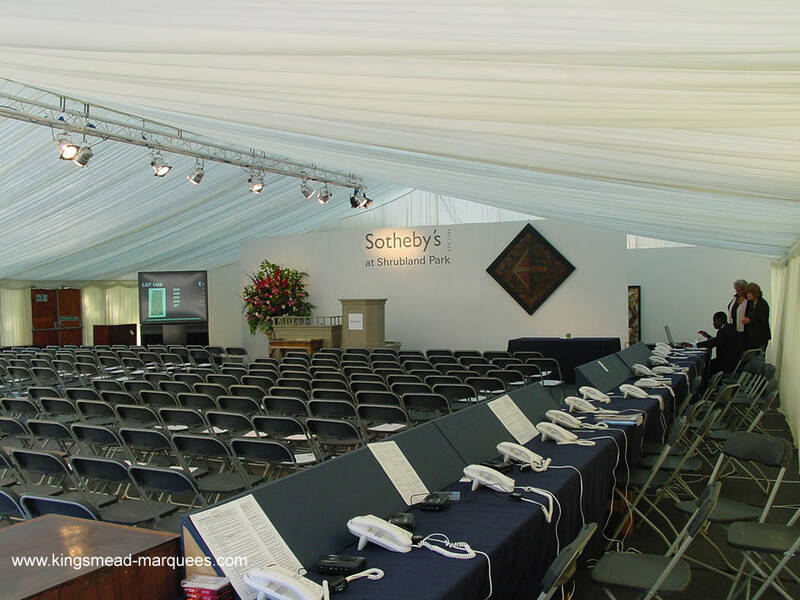 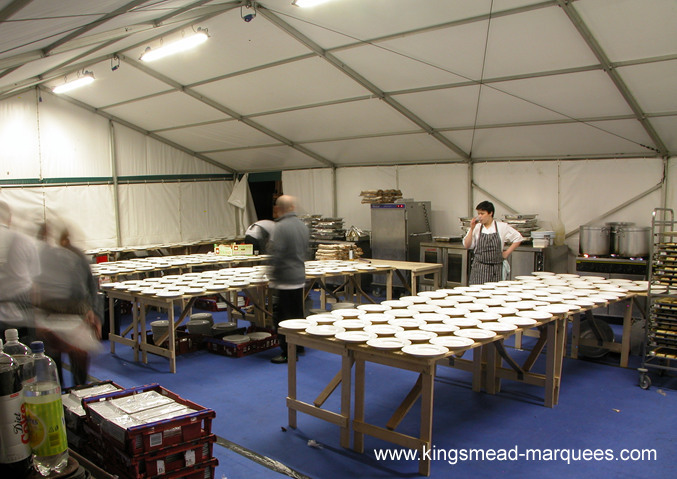 Kingsmead Marquees have 30 years of experience in providing these services, we understand the need for careful planning and load assessment, suitable distribution equipment, and above all a safe and reliable installation. 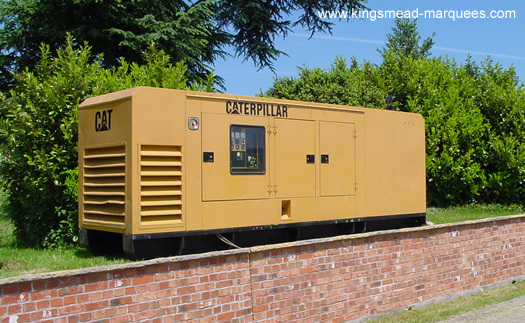 As most services will be supplied from a temporary supply careful planning is required from the outset. 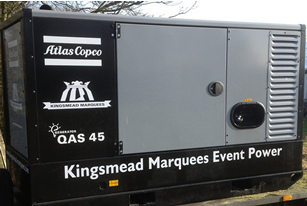 For added reliability, we operate and maintain our own fleet of mainly Atlas Copco silenced generating sets, these high quality units are able to provide the stable 50Hz AC required for connected electronic equipment. 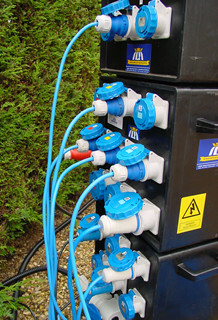 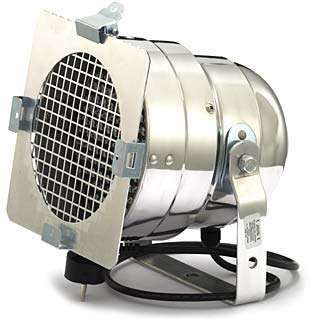 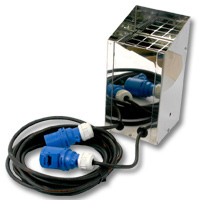 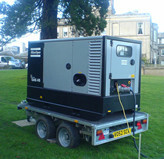 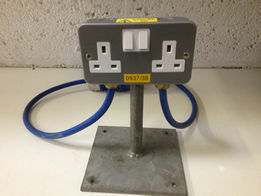 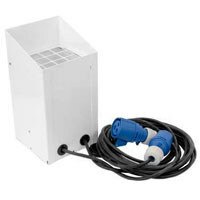 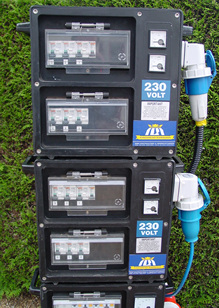 They can be used to provide power for the entire event, supplement an available mains supply, or operate as a mains backup.